We are excited to be releasing our dual HR & WHS module in 2019. 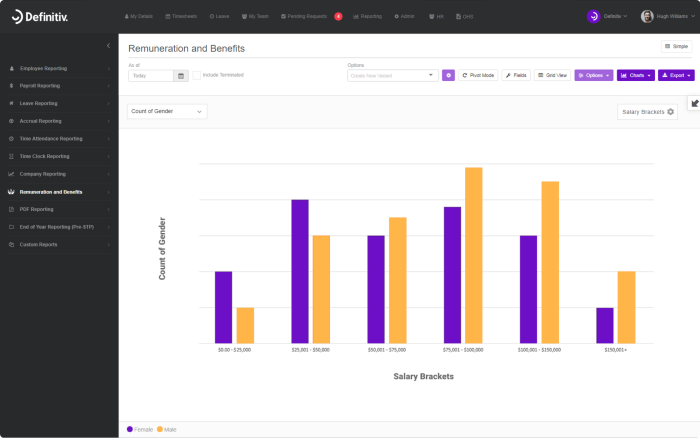 Adding to our promise to make payroll and HR simple for everyone, our HR & WHS module will help your business further consolidate your people management into one easy-to-use platform. Helping you to employ the best people for the job, nurture productivity and provide the right compensation for better output and lower turnover. Employ and promote the right people for the job by having access to the right information. The new Organisation Chart will allow you to add position descriptions, training, qualifications, competencies and incumbents to each position. Maximise talent and reduce gaps in knowledge by keeping on top of compliance with training, qualifications and competencies. Along with automatic notifications when certifications are up for renewal, maintaining a qualified and expert workforce will be easy in Definitiv. Align employee performance management activities with company goals and business strategy. From desktop to mobile, you’ll have full flexibility over when and where you carry out performance management activities. Mitigate risk and ensure the safety of your workforce and operations with a compliant WHS framework. Definitiv gives you all the tools necessary to adhere with legislative requirements and minimise expensive legal claims. Properly track and document incidents, record audits and meetings, identify risks, eliminate hazards and maintain operability of plant and equipment. Fill in the below form and we will be in contact soon to guide you through the features and functionality of our upcoming HR & WHS module.